Help the DC Collaborative bring quality arts and humanities education to all DC Public Schools and DC Public Charter Schools. Your donation will help provide tickets and transportation through the Arts and Humanities for Every Student program (currently serving 25,000-30,000 students in the District at more than 120 schools), provide workshop registration fees for the Professional Development program, or provide materials and support artist fees for student residencies. 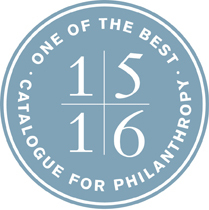 The DC Collaborative is proud to be featured in the 2015-16 Catalogue for Philanthropy as "one of the best small nonprofits in the greater Washington region." For more information visit the Catalogue for Philanthropy Website. You can also make a gift to the DC Arts and Humanities Education Collaborative through workplace giving initiatives. Does your company have a matching gift program? Your gift could be matched by your employer. Please let us know how we can help. Do you work for the government? Select charity code # 66894 on your United Way/Combined Federal Campaign (CFC) pledge form, or online here. We’re on pg 20 of the CFC’s 2015 Catalog of Caring. Would you like to make a gift of stock or a planned gift? Let us know! A Donor-Advised Fund (DAF) is a charitable account sponsored by a public charity which donors use to support their philanthropy. After establishing a donor-advised fund the donor may recommend grants to qualified public charities and may also advise the sponsoring organization (e.g. Fidelity Charitable® or Schwab Charitable, etc.) on the investment strategy for the charitable assets. 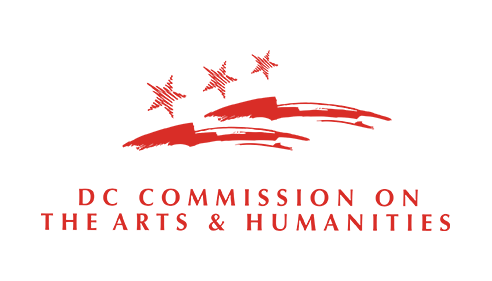 A sponsoring organization is a 501(c) (3) public charity that sponsors a donor-advised program which often consist of thousands of individual DAF accounts. DAFs allow you to combine the most favorable tax benefits with the flexibility to easily support your favorite charities. An increasingly popular charitable vehicle, DAFs are an excellent way to both simplify your charitable giving and facilitate your strategic philanthropic goals. Flexibility: timing of your tax deduction can be separate from your charitable decision-making. Tax-efficiency: Contributions are tax-deductible and any investment growth in the DAF is tax-free. It is also easy to donate long-term appreciated securities, eliminating capital gains taxes and allowing you to support multiple charities from one block of stock. Privacy if desired: donors may choose to remain anonymous to the grant recipient. * Sponsoring organizations generally assess an administrative fee on the assets in a DAF. These fees vary by sponsoring organization. The DC Arts and Humanities Education Collaborative is a 501(C)(3) non-profit organization and donations are tax-deductible to the fullest extent of the law.